SANOVIT is a composite product, ideal for assisting plant establishment, especially under harsh conditions. 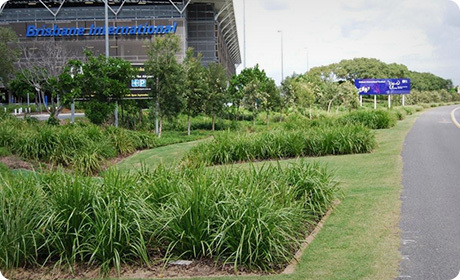 SANOVIT was developed in response to requests from landscapers and contract planters in Australia. SANOVIT is suitable for planting in most environments, from tubestock to large trees, or conditioning prior to landscaping or laying turf. It is being used with excellent results in projects across Australia and Europe. SANOVIT is a one stop application. This makes it particularly suitable for high volume planting where time and plant establishment are so important. For more information please do not hesitate to contact us! The aim of our company is to find solutions for our customers to achieve better growing conditions for their greening projects, and at the same time reduce the maintenance costs of these areas! Copyright 2014 Sanoway. All rights reserved.